The work on the fortified church in Șoarș (near Fog. ), which began on 21 August, is becoming increasingly visible: the “back” of the historic dovetail and plain tile with the partial use of new, handmade plain tile. The old battens were also retained where possible and in good condition. The ridge tiles were secured by storm clamps and the lightning conductor of the church tower was added. 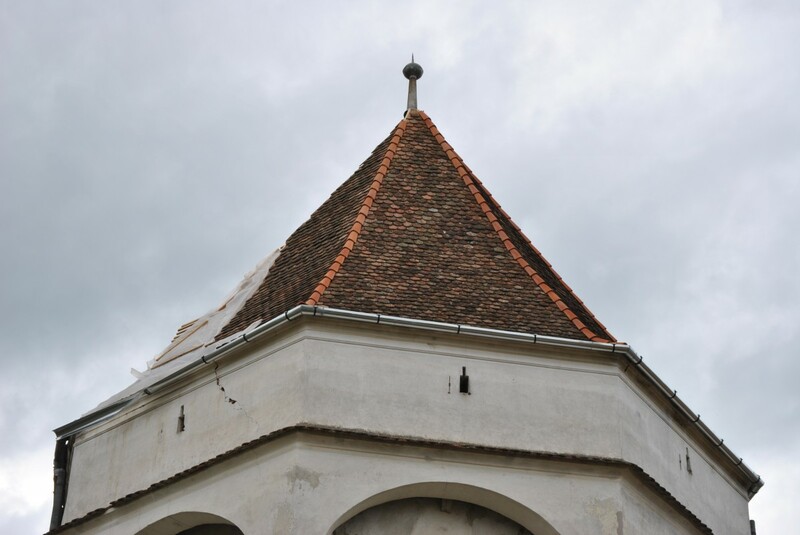 These measures, as well as the interior woodwork that gives better access to the tower, are particularly important for the safety of visitors to the fortified church. Gutters and other sheet metal work on the tower roof are still on the agenda for the next few weeks before the cold season begins. 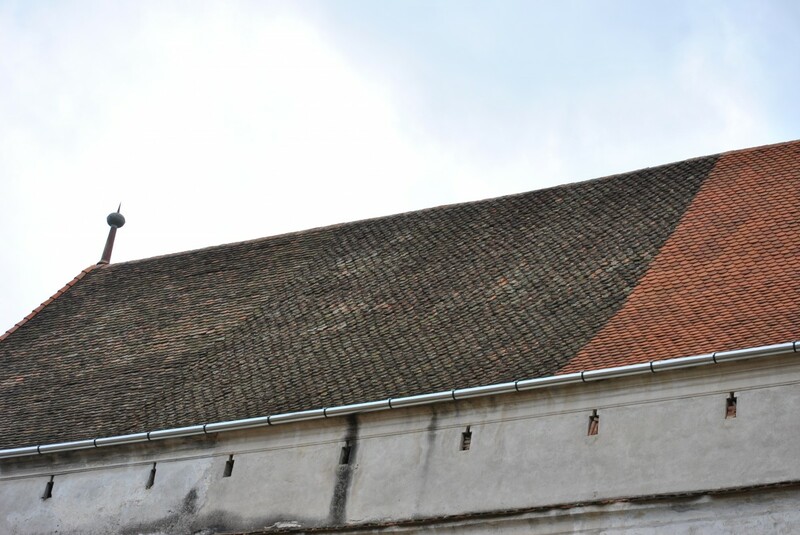 A special feature is currently also being worked on: a so-called maintenance route, which leads through the church roof, will simplify the future replacement of tiles or other minor repair work. This gives direct and quick access to the roof tiles. The Fortified Churches Foundation would like to thank the “Gemeindeverband” Fogarasch (association of churches in the Făgăraș region), the HOG Scharosch (hometown community of Șoarș) and the Șoarș mayor’s office for the good cooperation and the generous donations that have made this important work for the preservation of the Șoarș fortified church possible.